Durable built-to-last metal construction quality. 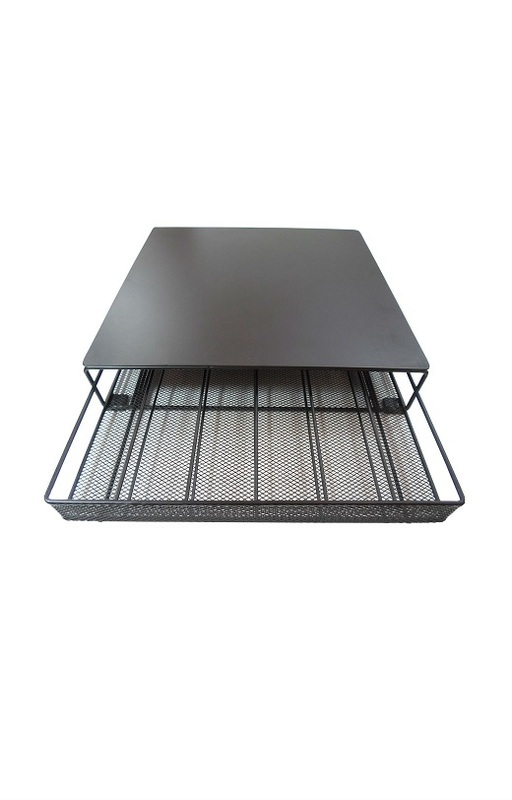 Easy to open or close drawer with sliding trails design. 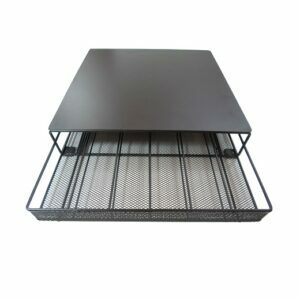 Stackable metal surface design to save space. Fits under most coffee makers or stacking more drawers. Streamline drawer door design for convenient mutiple pulling out positions. 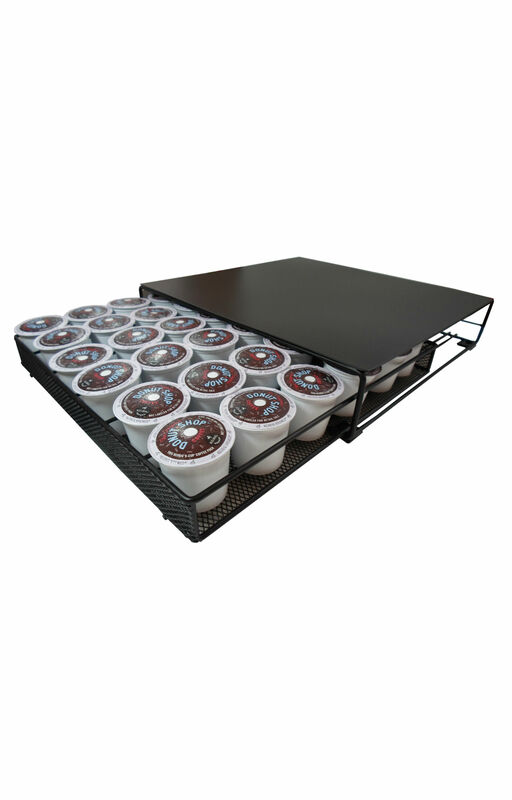 Holds up to 36 k-cups. Unit measures at 12-4/5″ (L) x 12-1/2″ (W) x 2-4/5″ (H). SKU: KD-001-36. Category: Coffee Drawers. 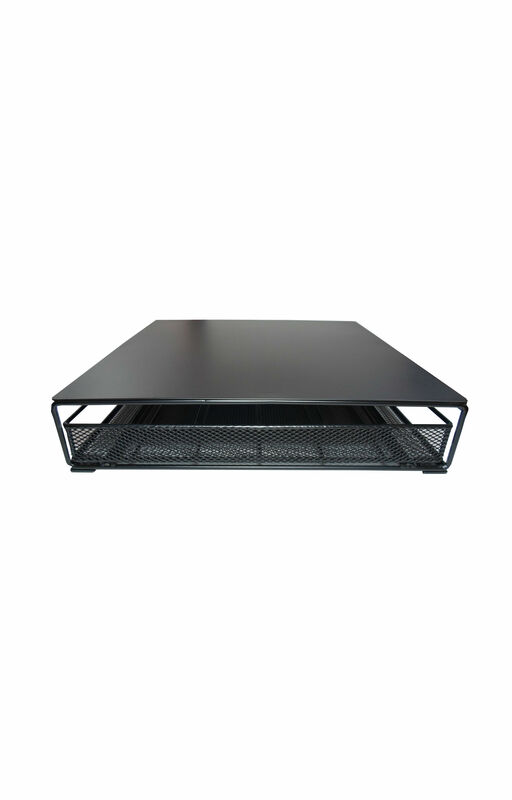 Easy to open and close drawer with sliding trails design. 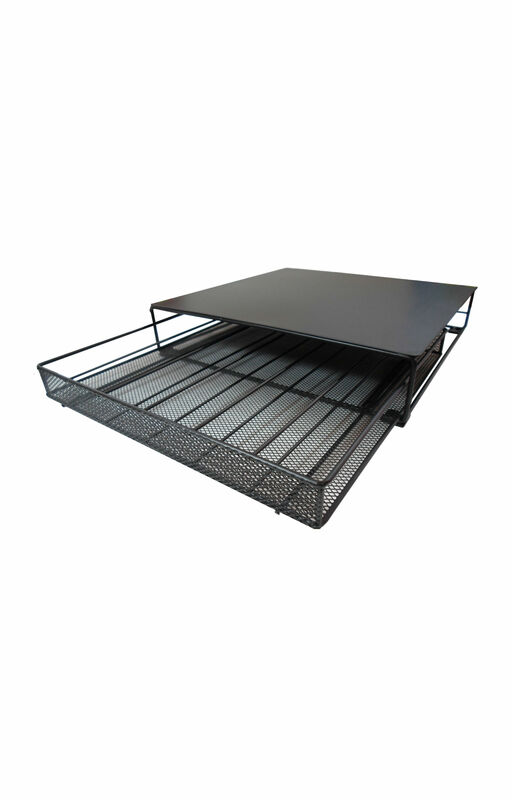 Stackable flat metal surface design to save space. Fits under most coffee makers or stacking more drawers. Streamline drawer door design for convenient multiple pulling out positions. 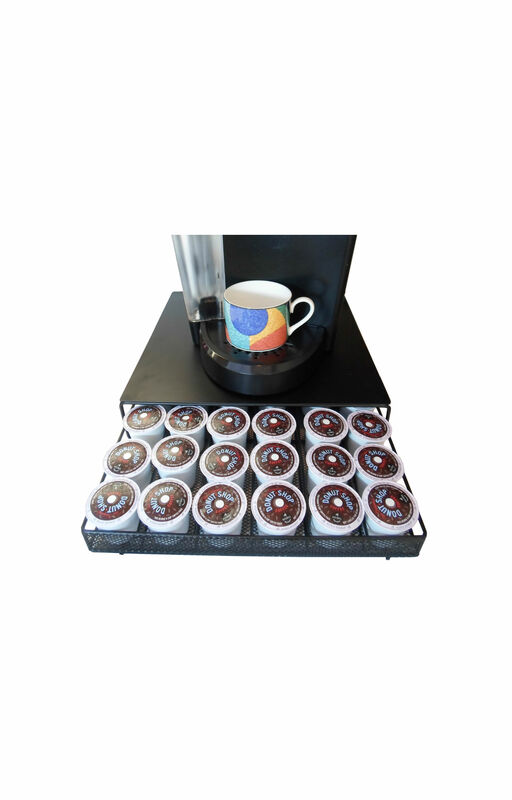 The Neat-O K-cup drawer incorporates “Simple is Best” concept into functional stylish design. The design is patent pending. The dimension of drawer fits under most coffee makers. 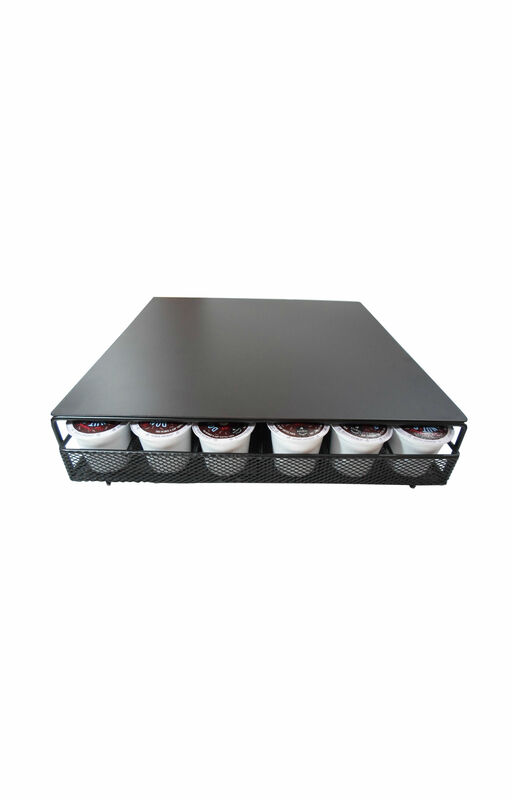 The flat metal surface strongly supports the coffee brewer, and additional stackable drawers. Black drawer makes color match easy. Streamline drawer door design adds full access pulling out positions. Easy to open and close. Durable built-to-last metal construction quality. 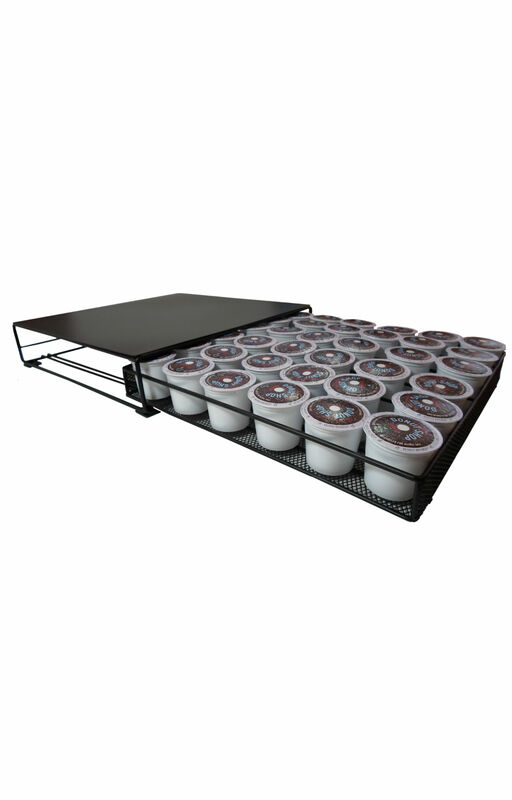 Holds up to 36 k-cups. Durable and functional product. Highly recommended. Good simple design Neat-O always give good product.